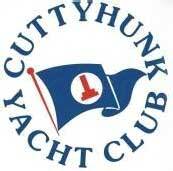 The Cuttyhunk Yacht Club is not your typical 'yacht club'. The CYC mooring area cannot accommodate yachts; we do not offer a launch service; we do not rent boats. Rather, the CYC is a 501(c)(3) organization that, since 1956, has focused on teaching sailing to children, ages 6 to 16 years old, in a safe and fun way on the waters of Buzzards Bay. Aside from our wonderful instructors, everyone 'working' at the CYC is a volunteer. We hope you will find your affiliation with the CYC to be a beneficial one.